Johnson was on full throttle as he sneeringly referred to Labour’s shadow foreign secretary Emily Thornberry as Lady Nugee because of her husband’s title. 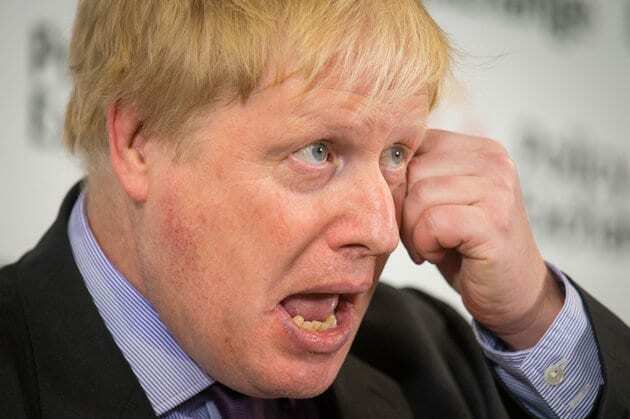 It was a wonderful moment in the British Parliament on Tuesday when the diminutive Speaker John Bercow tackled, muzzled and humbled the verbose human blunderbuss that is Foreign Secretary Boris Johnson. Thornberry who is married to High Court judge Sir Christopher Nugee chooses to use her maiden name so this act of blatant sexism could not go unchallenged. Like a greyhound out of the traps, Bercow brought the Johnson circus to a halt and told Bojo he wouldn’t tolerate such sexism. The speaker’s intervention drew gasps from the Tories while the rest of the House of Commons broke with tradition and applauded his interruption. The blond bombshell that is Bojo gave an apology for his “inadvertent sexism”. I think Theresa May ought to send him on a gender awareness course because he, like many in the Tory Party, obviously struggles with the concept of gender equality. Can England fans of the Beautiful Games deliver peace in Russia? I see Nato has joined in the game of Russian expulsion by issuing seven Russian diplomats notice to go in response to the nerve agent attack in Britain. Twenty-six countries have so far expelled Russian envoys in the past 48 hours as a show of solidarity with the UK following their widespread belief Putin’s Russia is behind the poisoning of Russian double agent Sergei Skripal and his daughter, Yulia. Foreign Minister Sergei Lavrov accused Washington of “colossal blackmail” and said there were “few independent countries” left in modern Europe. he has now warned there will be a response to the mass expulsion. It’s hard to know where it will all end. Thank goodness we can rely on the English football fans to fly the flag of St George and act as goodwill ambassadors during the World Cup in Russia this summer … a crumb of comfort in these troubled times. What could possibly go wrong? It’s good to know that common sense has finally emerged out of a bad situation with news that the wonderful Great Ormond Street Hospital Children’s Charity will keep the £530,000 in donations from the organiser of a scandal-hit dinner. Money from the Presidents Club Charitable Trust was originally declined in the wake of the Presidents Club men-only event, at which hostesses were allegedly groped. A spokeswoman for the London hospital charity said: “Our thinking is always guided by our aim to maximise the support we give to the hospital and the families it cares for. Following feedback from our supporters, guidance from the Charity Commission and taking into account the impending closure of the Presidents Club Charitable Trust, the trustees have decided to retain the funds donated by the trust”. I hear Nestle is claiming a world first by “restructuring” the sugar it uses in its Milkybar brand. While I’m all for healthier eating I do despair at the constant meddling of chocolates by various firms which has seen some family favourites much reduced in size. The Cadbury Cream Eggs of today are just not as tasty as the ones I scoffed as a child. Sweets and confectionary should be regarded as rare treats to be savoured. Who wants healthy chocolate?